Bellevue Financial's name didn’t align with their expanding market. 5ive Creative synthesized their brand promise down to a simple philosophy: a balanced approach to investing and personal attention to detail. We responded by creating their new name: Trutina Financial. Trutina is Latin for balance. With a new name, logo, web presence, and marketing materials, they are now able to quickly and effectively separate themselves from the crowd. 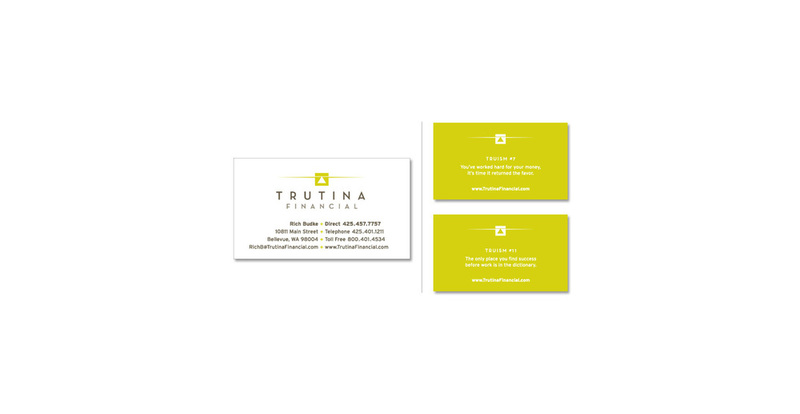 Here’s a Trutina “truism” - an authentic brand delivers award winning communication – and wins new business too.